In November 2013 the Salt Lake City Tribune ran a story titled “Families Migrating to Colorado for a Medical Marijuana Miracle.” It profiled just a few of the hundreds of children and parents currently uprooting their lives and flocking to the Rocky Mountain State in search of a non-psychoactive cannabis medicine that’s shown promise in treating serious pediatric ailments, even when all other possible treatments have proven futile. Tales of “miraculous” healing through the use of highly-concentrated cannabis oil have been circulating within the global marijuana community for almost ten years, but they only broke into the popular consciousness this August, when Dr. Sanjay Gupta, CNN’s Chief Medical Correspondent, offered millions of viewers a painful apology for previously dismissing mounting evidence in favor of medical cannabis, describing himself as having been “systematically misled” on the subject. Then Dr. Gupta introduced the world to six-year-old Charlotte Figi from Colorado Springs, Colorado, who used to suffer 300 grand mal seizures per week, even after cycling through every anti-seizure medicine in the pharmacopoeia and enduring a series of painful procedures that left her unable to walk, talk or eat. Those seizures started when Charlotte was just three months old, and yet in all that time, not one medical professional ever so much as mentioned cannabis. Her parents only learned the herb might help treat Dravet’s—the rare, intractable form of epilepsy tormenting their child—by watching a video on Youtube, and even then only decided to try it after all else failed. Now imagine Charlotte Figi living not in modern day Colorado, but in the Middle East, roughly 2000 years ago. Whether an object of pity, scorn, fear, or fascination, that poor young girl likely would’ve been thought to be demonically possessed—her deeply religious community would have had no concept of epilepsy as we know it today. At least until the day a stranger came to town, calling himself Jesus of Nazareth, but named by his disciples as Christ—a Greek word meaning the anointed. Benet demonstrated that the word for cannabis is kaneh-bosm, also rendered in traditional Hebrew as kaneh or kannabus. The root kan in this construction means “reed” or “hemp”, while bosm means “aromatic”. This word appears five times in the Old Testament; in the books of Exodus, the Song of Songs, Isaiah, Jeremiah, and Ezekiel…. and has been mistranslated as calamus, a common marsh plant with little monetary value that does not have the qualities or value ascribed to kaneh-bosm. The error occurred in the oldest Greek translation of the Hebrew Bible, the Septuagint in the third century BC, and was repeated in the many translations that followed. While that etymogical argument in no way serves as material proof, the “aromatic reed theory” can serve as the basis for a set of assumptions. 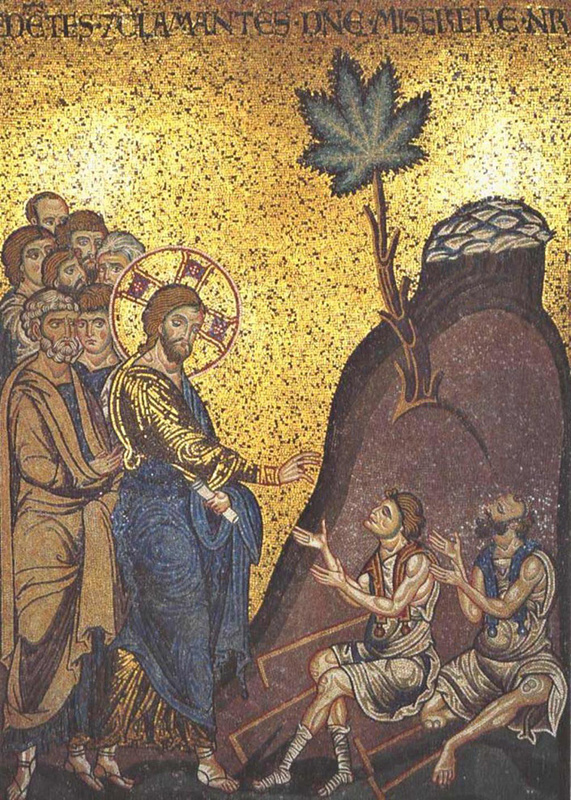 Assuming the oil described in Exodus did in fact contain high levels of cannabis, the effective dose of the plant’s medicinal compounds would certainly be potent enough to explain many of the healing miracles attributed to Jesus, as marijuana has been shown to be an effective treatment for everything from skin diseases and glaucoma to neurodegenerative conditions and multiple sclerosis. Also, while it’s highly unlikely anybody back then had herb capable of competing with the 20-25 percent THC super-chronic Cannabis Cup winners of today, there’s also no reason to believe that artful botanists of the ancient world couldn’t have bred and grown plants in the 10 percent THC range—with perhaps even higher levels of CBD than our modern hybrids—a cannabinoid profile that advocates claim is potent enough to produce a truly profound reaction when absorbed in such large amounts. Unfortunately for the priests and their erstwhile marijuana monopoly, however, many other competing religions and spiritual paths active at the time—including pagans and those who worshipped the Goddess Ashera—had their own far more free-flowing kaneh-bosm supply. Cannabis, after all, has been grown as a food crop since at least 6,000 BC and was well known and widely available in Moses’s time. Which means it wasn’t so much the cannabis plant that ancient Judaic priests tried to keep to themselves, as the healing potential of high-potency anointing oil passed down to them by Moses. A prohibition they maintained by targeting for elimination anybody who dared to break God’s commandment by sharing the elixir with the masses, assuming that kaneh-bosm is cannabis. Aside from crucifixion, Jesus’s baptism is considered by many researchers the only historically certain fact about his life. The New Testament’s vivid accounts of the ceremony make it clear that the apostles considered their savior’s encounter with John the Baptist to be a pivotal and transformative event, one that marks the beginning of his public ministry. It came to pass in those days that Jesus came from Nazareth of Galilee, and was baptized by John in the Jordan. And straightway coming up out of the water, He saw the heavens opened, and the Spirit like a dove descending upon Him. And there came a voice from Heaven, saying, ‘Thou Art My Beloved Son, In Whom I Am Well Pleased.’ And immediately the Spirit drove Him into the wilderness. And He was there in the wilderness forty days, tempted by Satan, and was with the wild beasts; and the angels ministered unto Him. But if water served as the catalyst for Jesus’s spiritual ascension, why does he never perform a baptism? Why take the name Christ? And why anoint his flock in oil before sending them out to anoint others, as described in Mark 6:13: They cast out many devils, and anointed with oil many that were sick and healed them. To those who believe that Christ used cannabis oil, the answer lies in non-canonical Christian texts. The canonical texts of the New Testament, that is the books of Matthew, Mark, Luke, etc, were not selected as such until around 325 years after Jesus’s death, when the Roman Catholic Church culled them from a large number of contenders in hopes of uniting all of Christendom under one banner—their own. The Church then sought out and destroyed every account that differed from their now official version of events. Allowing the very empire Jesus once virulently opposed to seize control over the practice of Christianity for a thousand year period known as the Dark Ages. Lytton John Musselman, a Professor of Botany at Old Dominion University and author of A Dictionary of Bible Plants (Cambridge 2011), says he’s familiar with the theory that keneh-bosem refers to cannabis, but remains wholly unconvinced, calling the evidence claiming marijuana to be part of the holy anointing oil “so weak I would not pursue it.” He also defends calamus as capable of producing medicinal effects on par with those described in the Bible. Categories: Uncategorized | Tags: Bible, cannabis, heal, health issues, Jesus, theories, weed | Permalink.